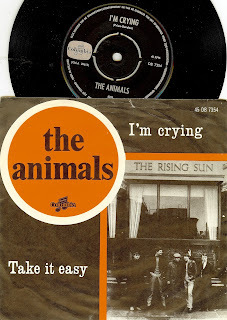 While 'I'm Crying" was a minor US chart hit (peaking at #19), it's a song that's NEVER played on oldies radio. I'm not denying the greatness of this amazing band from the far north of England, but my fears always lie with the fact that so many great jams can get lost to history, loved only by the most devoted. "I'm Crying" is perhaps the mosy driven mod rave up in The Animals catalog, and the song is perhaps the peak of the songwriting collaborations of organist Alan Price and vocalist extraordinaire eric Burdon. 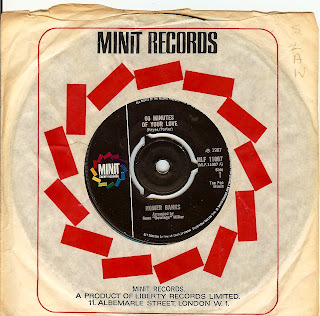 Sadly, Alan Price left the group a few short months after this record was released, and while the band continued on (releasing some great sides along the way), nothing could match that magical original lineup. Price is a force of nature on the electric organ! 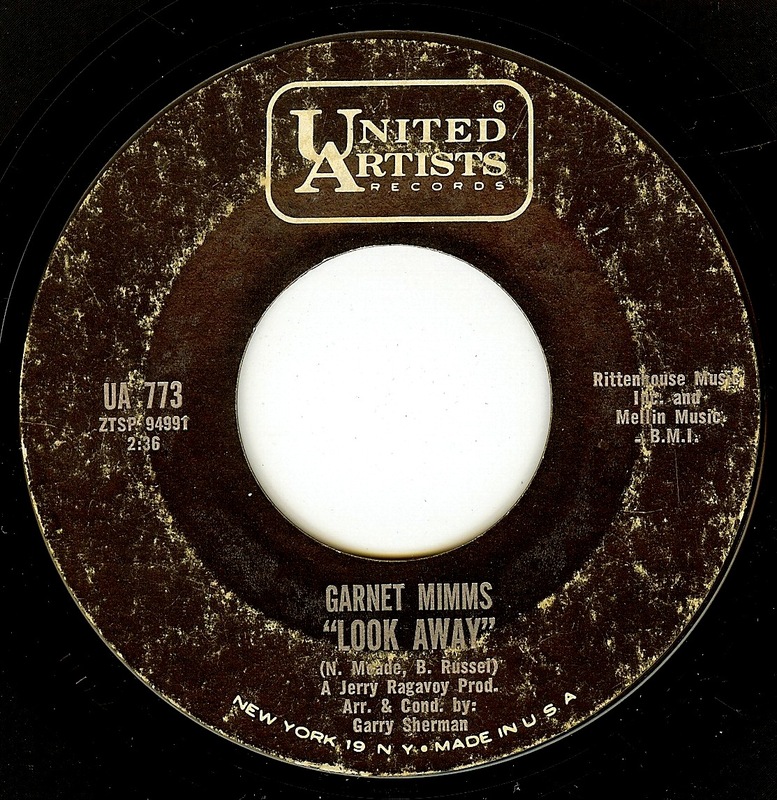 It's been far too long since I've featured a Garnet Mimms record on this site, and it's certainly not due to a lack of love for this phenomenal singer. 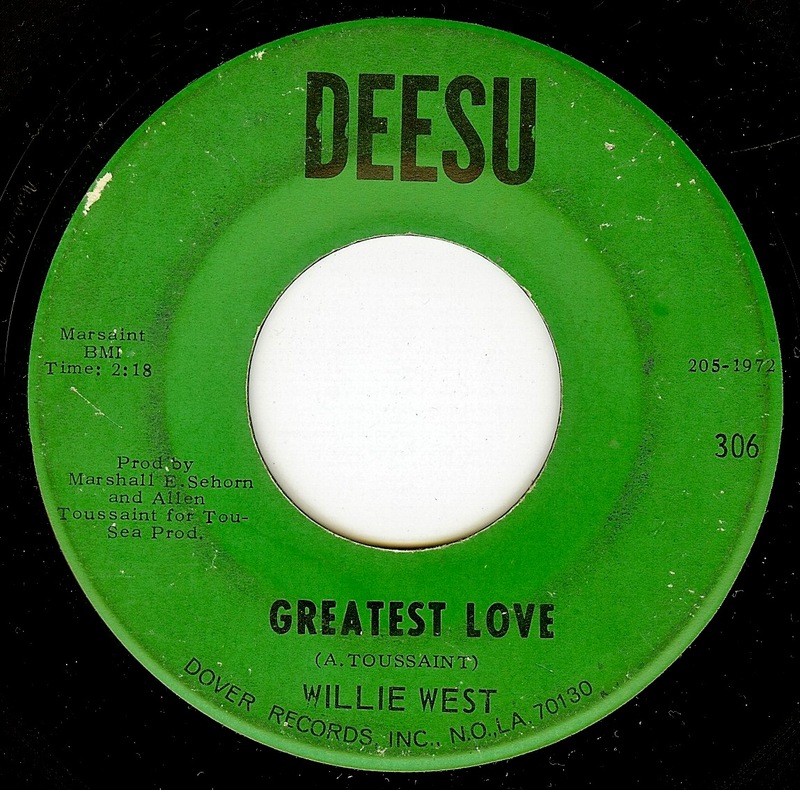 Garnet (along with top notch producers/arrangers Bert Berns and/or Jerry Ragovoy) cut to wax some of the greatest east coast soul of all time. Garnet's voice is full of majesty and the way the man could phrase a lyric is as good as it gets. 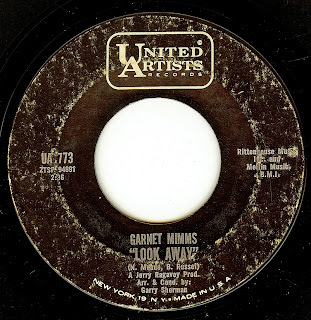 "Look Away" is another Bert Berns co-composition in which he explores the Latin rhythms that were the hallmark of so many of his classics, going back to Solomon Burke's "Cry To Me" in '62. Seemingly the only single released by Arnold Blair, and it's one of the greatest masterpieces of '70's Chicago soul; an absolutely perfect record that is guaranteed to make you feel good all over. Producer (and co-writer) LeRoy Hutson is best known for his replacement of Curtis Mayfield in the Impressions in 1971. 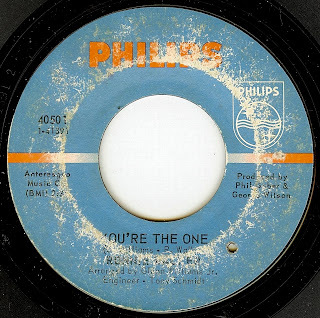 On his own, LeRoy also cut another of the great 70's Chicago soul singles: "All Because Of You" (a past 45 of the day). 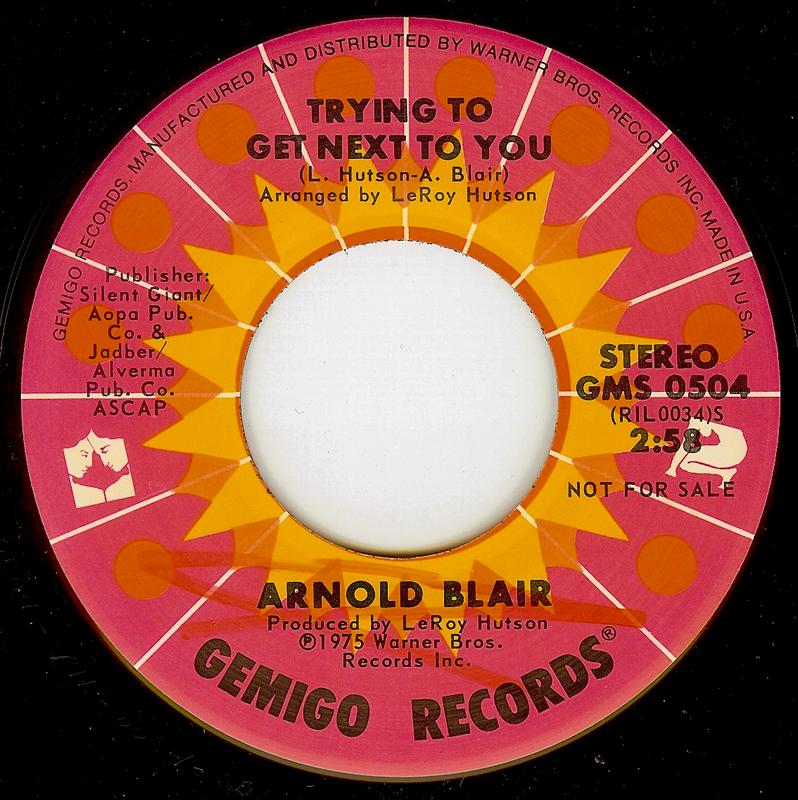 One wonders what could have possibly happened to Arnold Blair? The man's talent shines through so brightly on this incredible record, and it's so sad that this was his only shot on wax. Quite simply a gorgeous soul ballad that is the sound that brings to mind imagery of a NOLA nightclub at 4AM and the last slow dance. Once again, Allen Toussaint turns in a fantastic song (which goes straight to the heart in its simplicity) with an equally direct and pleasing production/ arrangement. 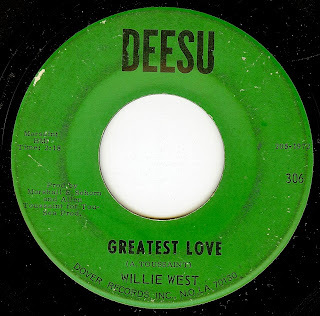 Willie West turns in such a beautiful, heartfelt vocal as well. There are mere records and then there are RECORDS...Tunes that reach epic proportions of energy and verve. 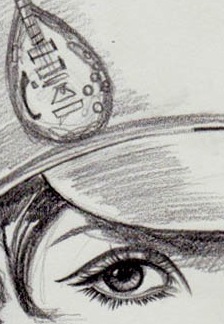 This is one of the latter, a song so hot that it can melt the brain if not a stylus! 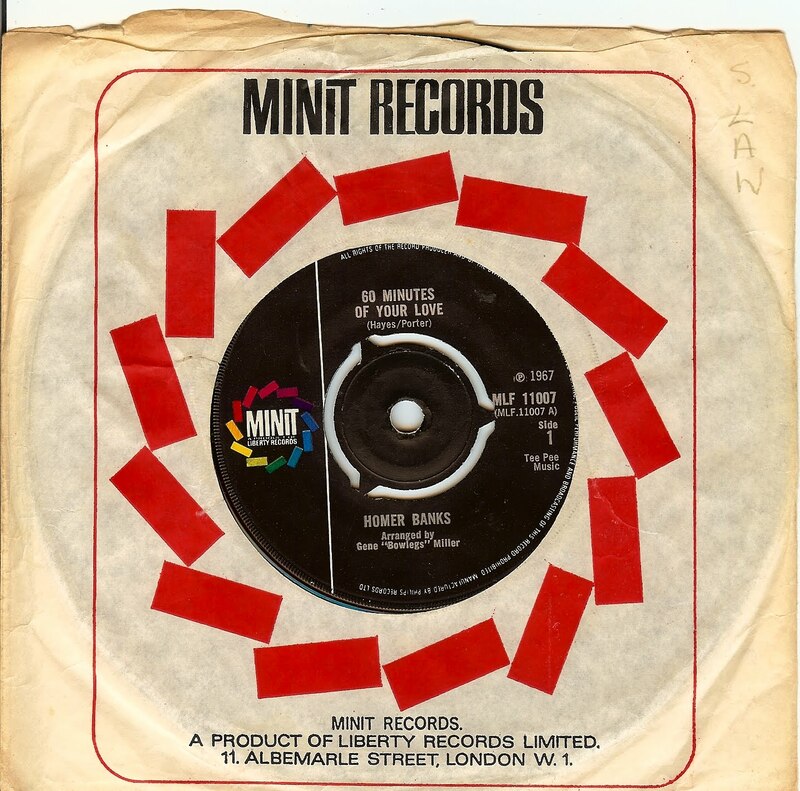 Written by the Stax team of Hayes/Porter, this Homer Banks was truly the Stax artists that never recorded for Stax, but certainly SHOULD have, as his voice and feel were a perfect match for that label's vibe and soul. Rose St. John & The Wonderettes released at least one more 45, but that's all I know about her/ them! 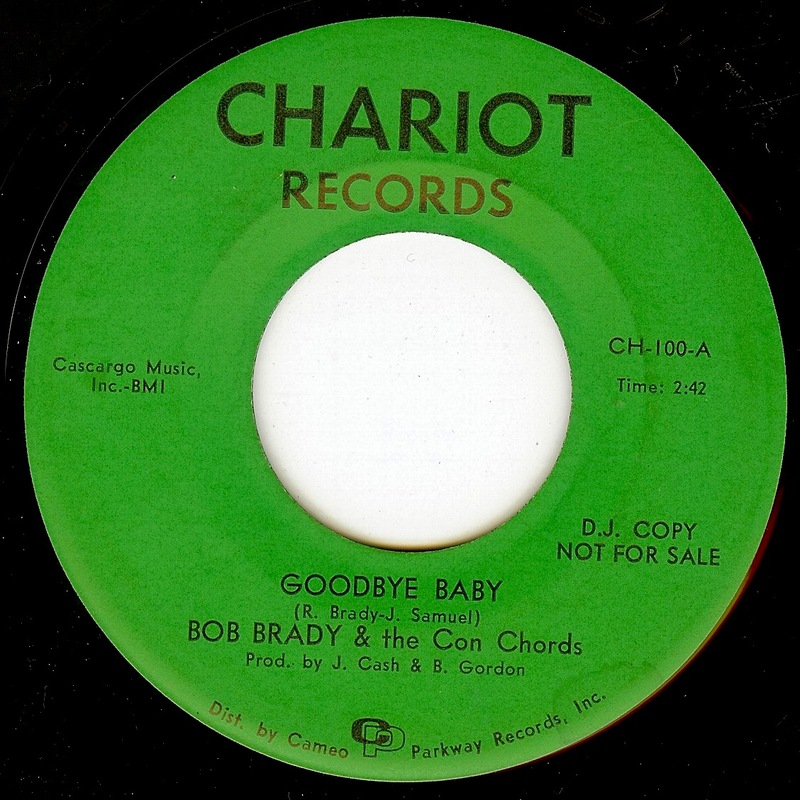 Being as Bob Schwartz is the producer, this is most positively a New York City record, and it captures a nice Detroit vibe but with great overall clarity in the mix and Rose's vocals RIGHT up front where they should be. Glorious stuff! Bob Brady & The Con Chords (from Baltimore, MD) were one of the most soulful white acts in history. 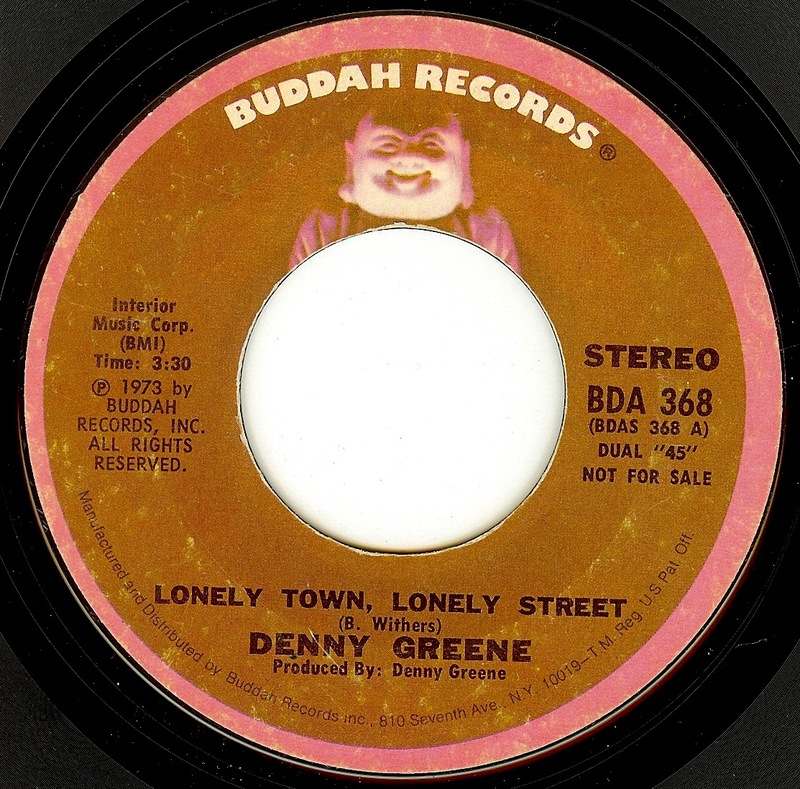 These dudes NAILED the sound, and while the groups' later releases showed off Bob's Smokey Robinson influenced falsetto vocals, on their debut single presented here he sings it in his natural voice and shows that the man has a world class set of pipes all around. 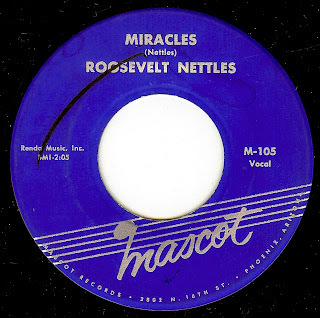 Hailing from Wilkes Barre, PA and with a background in gospel, doo wop and rock n roll, singer Mel Wynn hooked up with a pre-existing group called the Rhythm Aces in the mid sixties and had a career as a live act for over a decade and cut a few singles as well (of which this was their second release). Between the catchy vocal and arrangement hooks, the fuzz guitar, and the soul claps, "Stop Sign" should have been a massive hit. 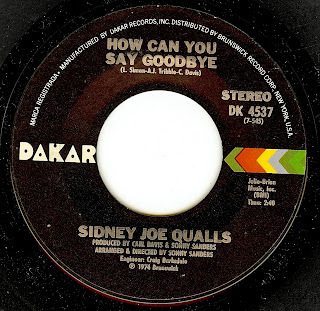 There's no denying that Sidney Joe Qualls sounds more than a little like Al Green on this record, which is one of four 45's (and one LP) he cut in the '70's. 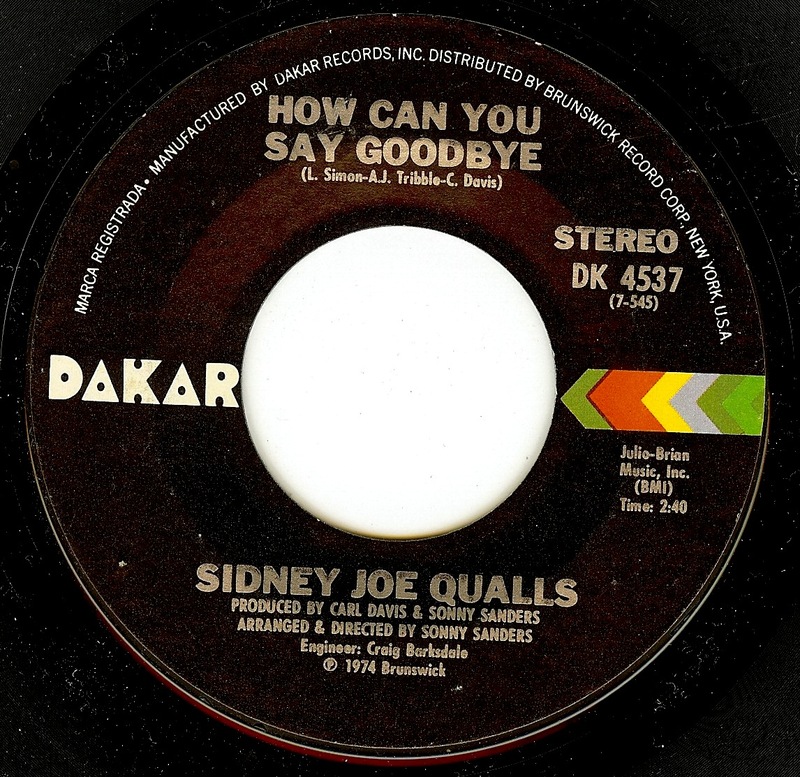 Born in the south (biographical details are sketchy), Sidney has an aching voice that cuts through the dense production with pure soul. Phoenix, AZ is not a city that's really EVER associated with having any kind of R&B or soul scene, yet New Orleans native Roosevelt Nettles fell in love with the southwestern city while stationed there during his time in the Air Force in the late '50's. This was his second release, and I love the sincerity of his delivery (not surprising, as it is a self-penned composition) and the power of his voice. Roosevelt left the music business to become a chef, which apparently he still works as in Phoenix. By far the most SLAMMING Dutch beat record; 'nuff said. 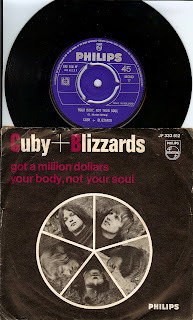 C+B were formed in the early sixties, and although they saw many lineup changes were an active band up until the 1970's. 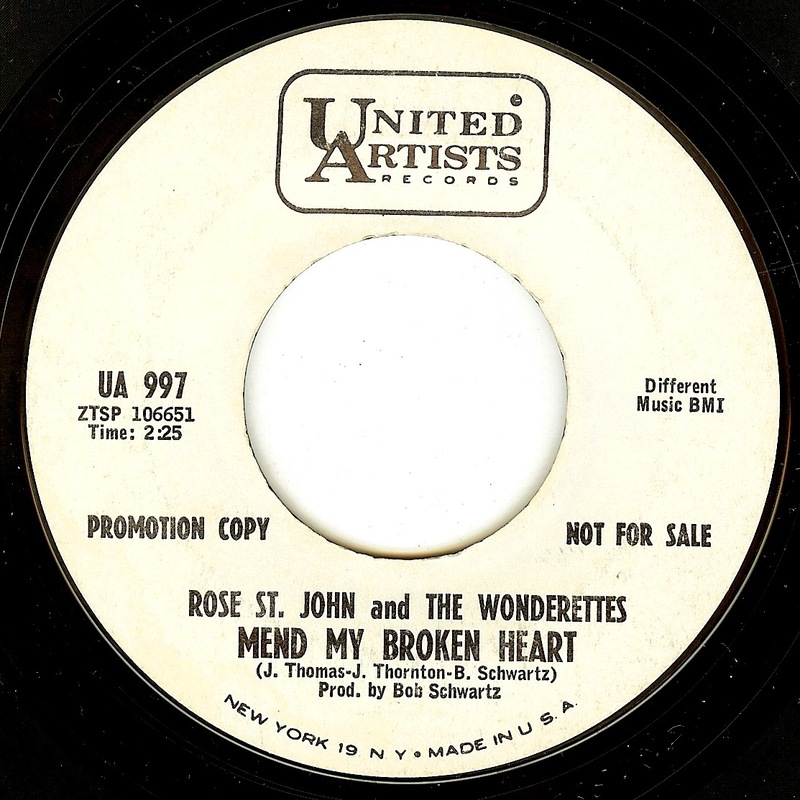 Most of their releases are in the British-style blues vein, this raver is relatively unique in their catalog. It's not easy to duplicate a record like this. This record just flat out COOKS. Sure, the strings may be bordering into "early disco" territory, but the older I get the more I realize that's not such a bad thing after all. The REAL stars of this record are the lead vocalist (Tyrone Stuart, I believe) who SOARS and the guitarist that sounds as if he/she wired directly into the wall power socket and not your typical Fender amp. This jam heats up to nuclear meltdown proportions during part 2, and I had no choice but to include it as well. 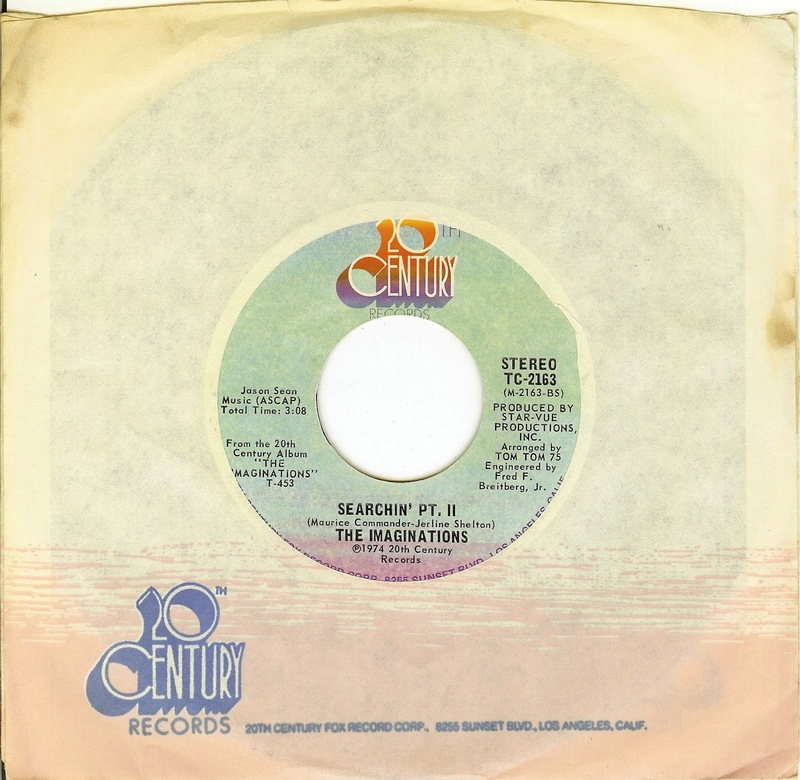 The Imaginations released a few singles and two LP's that (sadly) went nowhere. my solo 45 is OUT NOW! This came out just under two weeks ago and the majority are sold out. If you like what I do and dig vinyl, snag one while you can! Available now! 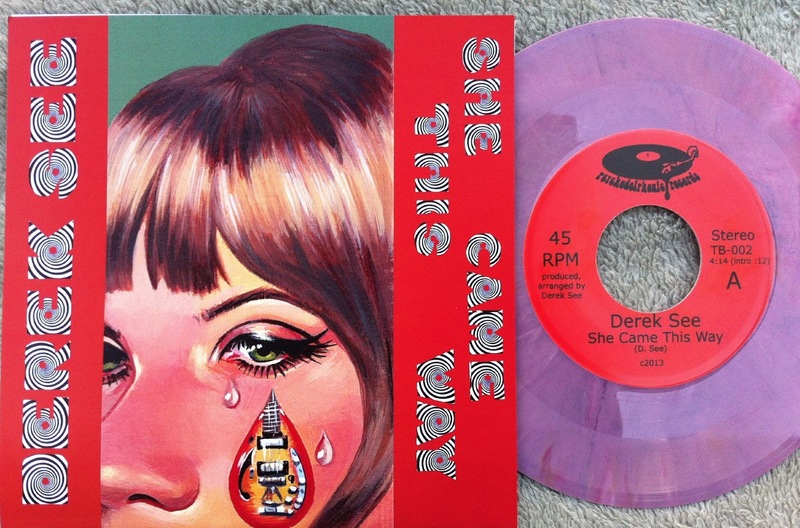 limited edition (200 copies only) colored vinyl 45 of Derek See's new solo outing, "She Came This Way" & "McQueen (Slight Return)"
above is a portion of one of three potential picture sleeves! Preorder and you get to vote on which one makes the cut! Amazing art by Galine Tumasova. Oh what an EXCELLENT record!!!! Bobby Treetop seems to have released three records on the Tuff label; this is the only one I've heard, and it's a track that's been sought after on the collector's circuit since the early '70's. Surprisingly, there doesn't seem to be any information about this record! Producer Benny Golson was a jazz musician from Philadelphia who took a break from performing to concentrate on studio work. He was located in New York City in the sixties, so perhaps this is a New York record? It gets credited as being from Chicago and although stylistically that would be an easy fit it doesn't seem to be. Nevertheless, all that matters is what's in the grooves and damn is this a mighty record. Despite its release on Motown (and Tammi herself being part of THE greatest male-female duo of all time with Marvin), this record is HARD to find; in fact, it took me nearly a decade of patience to get my copy! This was a record that I wanted SO BADLY because it's SO GOOD that impatience was starting to get the best of me; arriving almost in gift form a copy made it my way shortly after my birthday last month (woo hoo). The reality behind the scarceness though is one of the saddest tragedies of '60's soul. 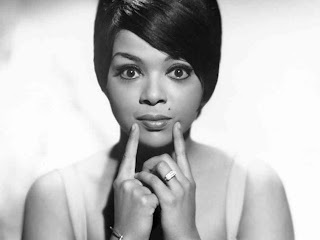 In October of 1967 (the same month this record was released) Tammi Terrell collapsed onstage (into Marvin gaye's arms) and was diagnosed with a brain tumor which ended her too short life in 1970, at age 24. 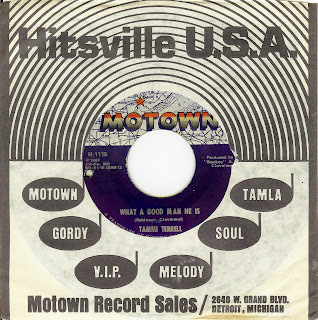 While I can't say for sure, I think Motown pulled out the promotion from this record (and possibly withdrew it from sale), as Tammi was too ill to promote it. Thankfully, Tammi left behind a legacy of music that will be enjoyed for as long as people have hearts; it is the music that will constantly inspire, move, and make our lives better every day. Of course Brian Holland is most known as being one of the Holland's of the mighty Holland-Dozier-Holland songwriting triumvirate that powered the motor of Motown. It's surprising how FEW records he released as a vocalist, though, as not only could the man WRITE but his vocals are top notch as well! I love his production on this record as well- an unstoppable groove, prominent vibes and some nasssty fuzz guitar all sharing space with the sweet string arrangement. 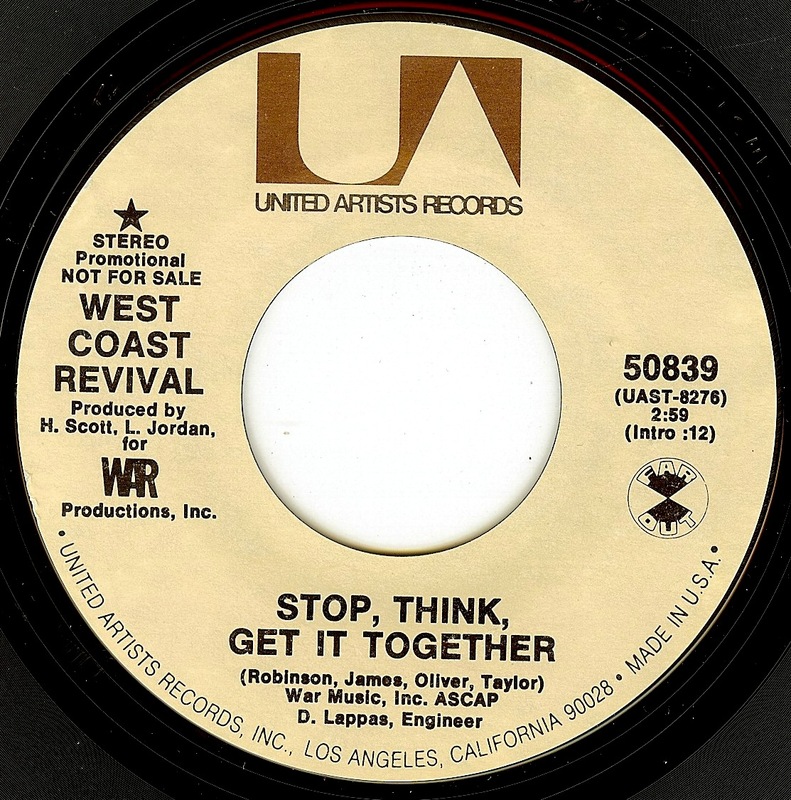 This L.A based vocal trio released three singles under the wing of WAR members Howard Scott and Lonnie Jordan. I don't really know a whole lot else about them and if the members did anything before or after, but this sure is a beautiful piece of SoCal sweet soul. My heart is broken that the jury in Florida couldn't stop, think, and get it together yesterday. Some of the wildest, most outrageously rockin' dance numbers out of Chicago were centered around the too brief Uncle Willie dance (see The Daylighters "Oh Mom, Teach Me How To Uncle Willie", a past 45 of the day, for more proof). "Uncle Willie Time" may not be QUITE as intense as the Daylighters side, but it's more proof that the Uncle Willie may have caused too many dance floor emergencies (hyperventilation, dehydration) forcing it to fade away! 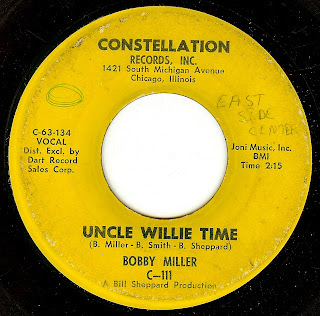 Bobby Miller is far better known as a songwriter (most notably with The mighty Dells), but he cut two dance 45's under his own name for Gene Chandler's Constellation label. In the summer of 1962, a young, talented, creative and charismatic fella by the name of Brian Wilson was breaking out in a big way; in August, his first major label 45 with the Beach Boys ('Surfin' Safari") began to hit big on the national charts. 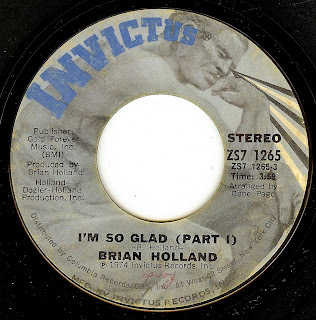 Brian's talent was looming so large that it couldn't be contained within The Beach Boys alone; compositions written by Brian and Gary Usher were so prolific and the need to prove his budding talent as a producer spread the legend out on to some other cool records. The first of Brian's outside productions was the gorgeous "Surfer Moon", performed by Bob & Sheri. 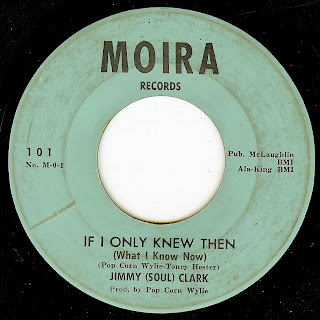 This record was self released by Brian's father Murray, and was pressed in very limited numbers (I DREAM of owning this record, that fetches a minimum of $3000 when it pops up). 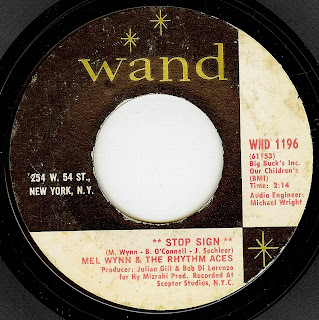 The same month that "Surfin' Safari" began ascending the charts, Brian went into the studio to cut a record that was strongly influenced by both Little Eva's "The Loco-Motion" and the massive amount of twist records that had littered the scene since 1960. 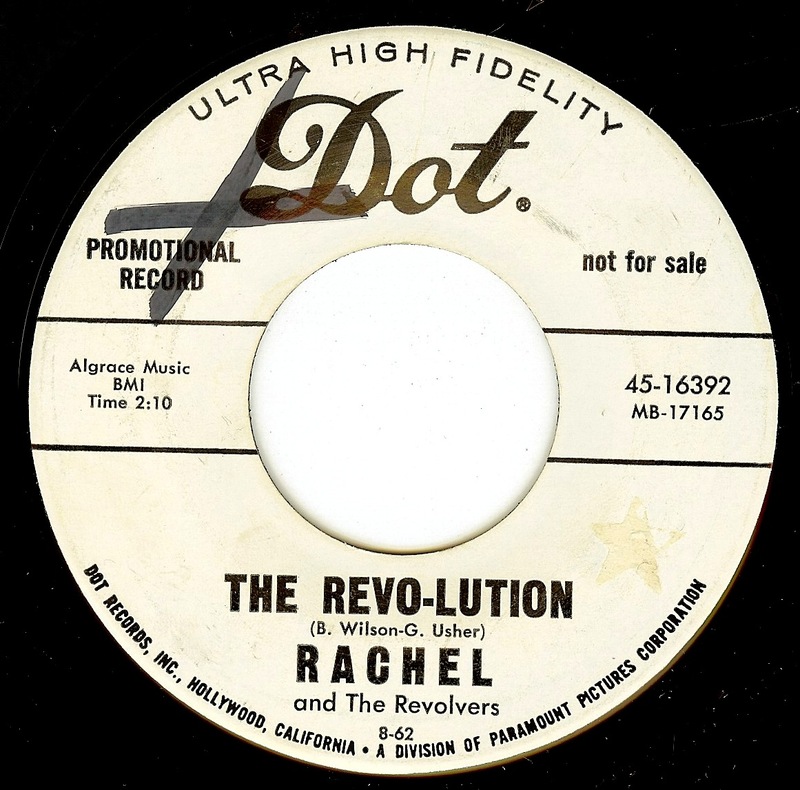 While "The Revo-lution" isn't exactly on par with the sophisticated tracks Brian began to compose in the coming months, it certainly is cute and the play on the word revolution is pretty damn clever. As my wife, hearing it for the first time this morning said (before knowing of Brian's involvement) "that's an interesting one! nice play on words". When I told her the story and of Brian's involvement, she said 'THAT figures!!!". 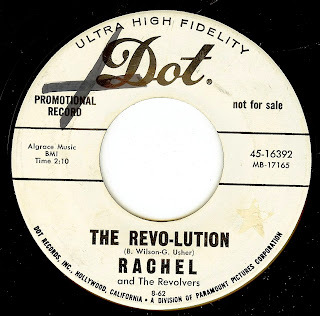 "Rachel" is L.A session singer Betty Willis, and she shows off her gorgeous voice in a sublime way on the b-side, "Number One". On "Number One", Brian wears his Four Freshmen influence on his sleeve with a melody that's so pretty it's almost corny. But like the rest of this man's work, the sincerity cuts through any cynicism and "Number One" completely melts me into a puddle. Of course I like/love every record I post, but some of them are VERY special; this is one of those. I know nothing about this Dallas TX group (certainly no connection to the Detroit girl group). From the low fidelity recording to the heartfelt performance, this is the type of record that makes us collector types weak in the knees. I am guessing at the year; please write if you know any more. 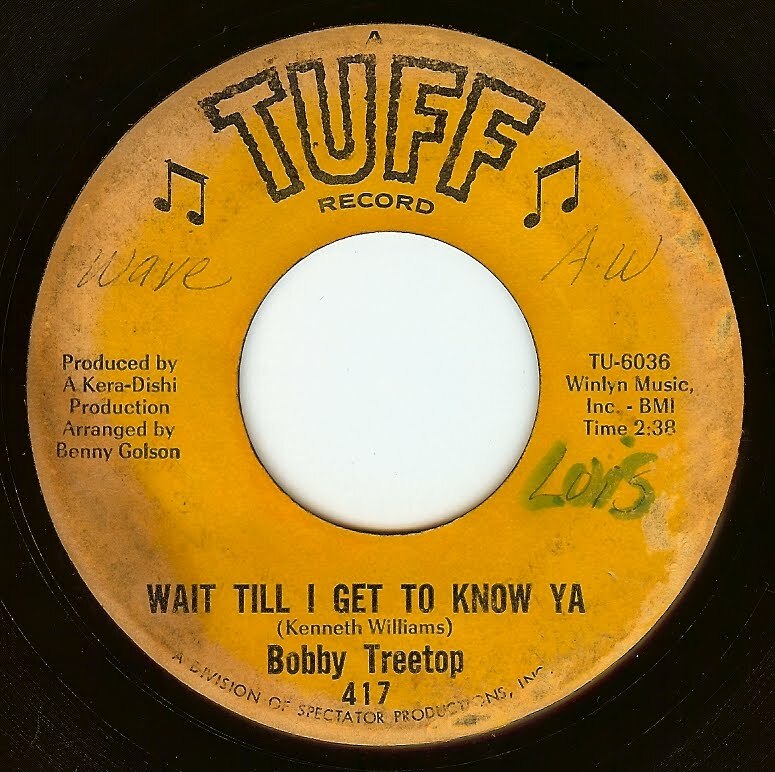 The collaboration between Richard "Popcorn" Wylie and Tony Hester resulted in top quality Detroit soul that is easily worthy of a "Mini-Motown" title. 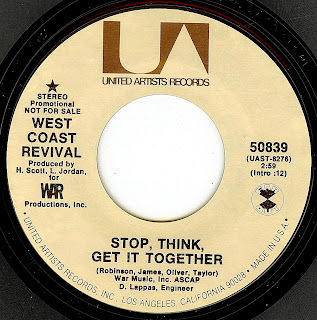 The pair spent days holed up writing songs, many of which should have been massive hits (including this one). In fact, Popcorn himself eventually ended up at Motown, where he waxed the incredible 'Funky Rubber Band" in the early part of the '70's. 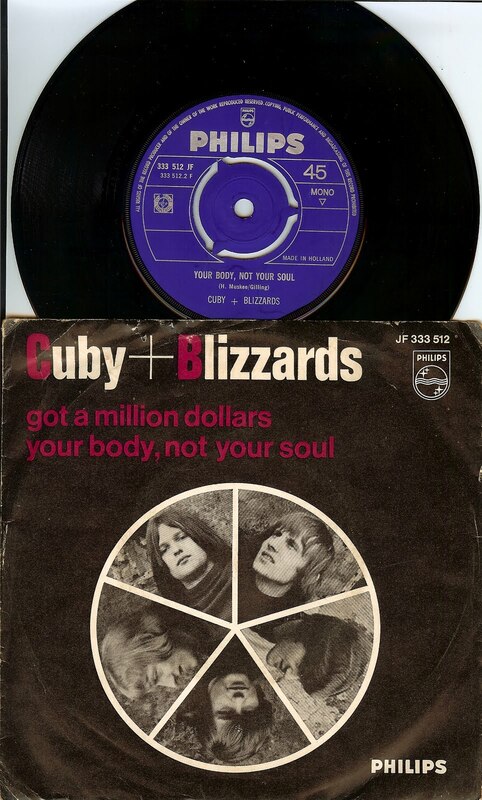 Not a whole lot of biographical info is known about Jimmy Clark, although he cut a few more records in the late '60's. 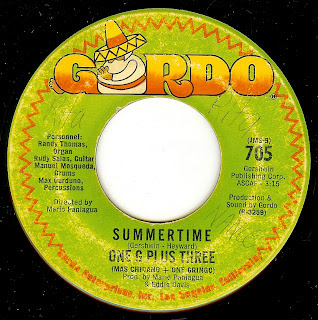 There's certainly no shortage of excellent versions of the standard "Summertime", and this ultra-cool Latin jazzy-funk take (a recent find for me) captures the vibe of a hot, sticky, slow moving day to a "T". I really love how the group basically writes their own intro to the song, with some unique chord changes, then when the organist hits on the melody, he takes some respectful liberties with it. Next time thru, Rudy Salas plays the melody on guitar just SLIGHTLY behind the beat, and to me, THAT is when the summertime vibe is perfectly captured and it sends this record into legendary status. The flip side, "Porquito Soul", keeps the vibe going perfectly and it would have been a crime not to post it, as well. My daily posts are taking far longer to compose, as the site that I've hosted music on for six years is broken, and I can think of no other alternative than to post to youtube. The good thing about THAT though is that the songs can stay up indefinitely. This is the only release from the group, although guitarist Rudy Salas went on to great success as part of the legendary Latin soul group Tierra, who still tour to this very day. 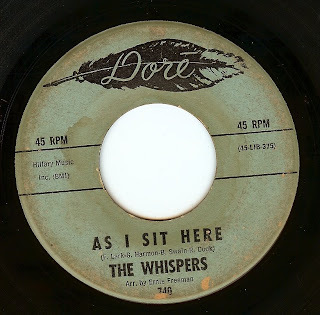 This beautiful deep soul harmony song is from LA based (and LONG running) band the Whispers. Vocal harmony perfection and oh so sweet for a Sunday. File under "early Jimi Hendrix as session man". 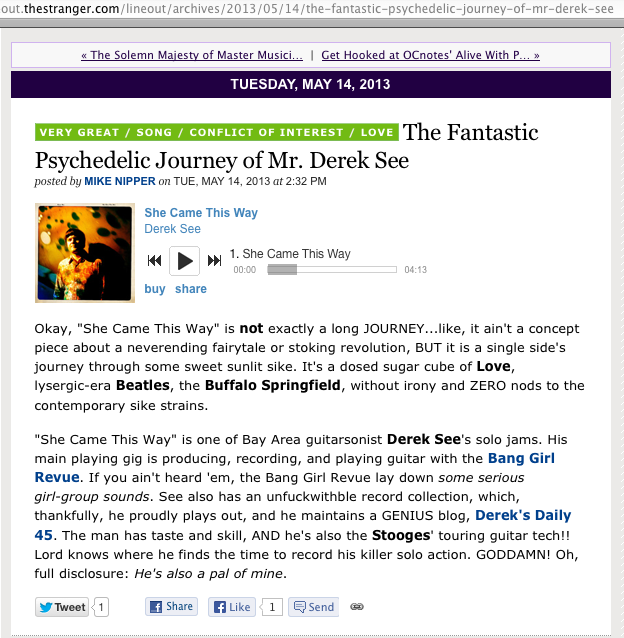 Jimi comes out blazing on the intro, and gets a chance to REALLY cut loose on side B. Just like Hendrix moved east from Seattle to the Big Apple, vocalist and sax man Youngblood was transplanted into the bustling and cut-throat New York City music scene (he was born in Augusta, Georgia) and odds are the two met while playing with Curtis Knight & The Squires. 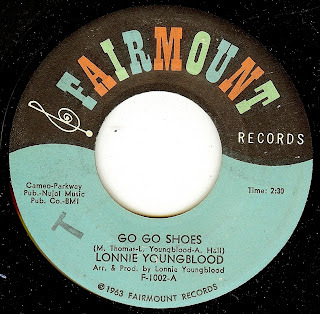 Lonnie & Jimi obviously had a great chemistry that was demonstrated on this record (and their other one cut together, "Goodbye Bessie Mae", a past 45 of the day). This record has erroneously been credited to 1963 many times, due to the "mistake" date on the label, common to so many Cameo-Parkway (and Motown) record labels. Two sides of magic!!! 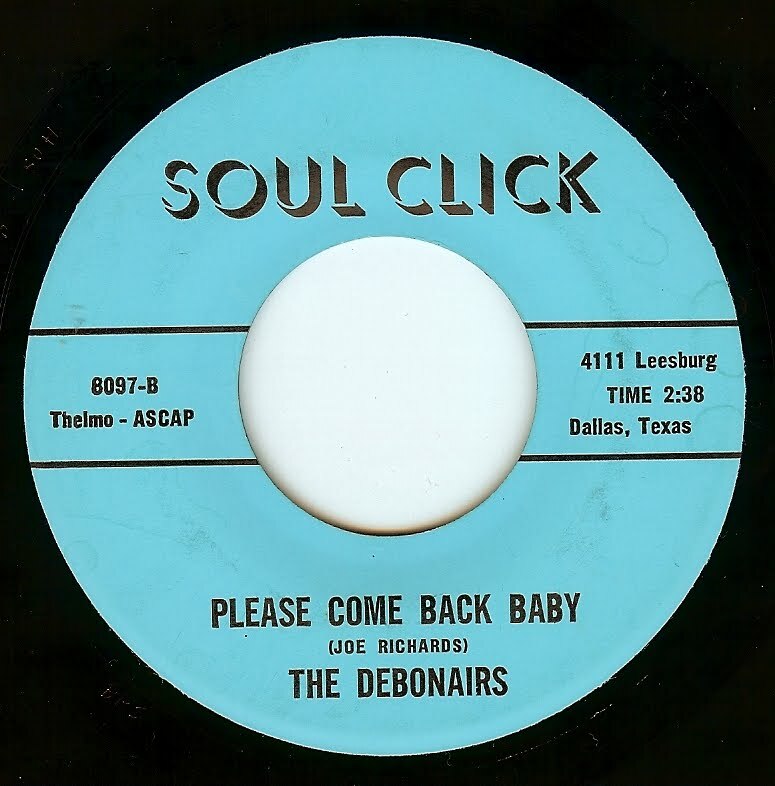 This record gives you the classic soul pairing of a great, uptempo side ("You're The One") and a gorgeous (and downright haunting) ballad ("Thanks To You"). Philadelphia's Ronnie Walker recorded between '66-'75, but only saw a half dozen or so 45's released, and sadly, none of them made any chart impact. It certainly wasn't for lack of talent, as the man's voice is top notch. 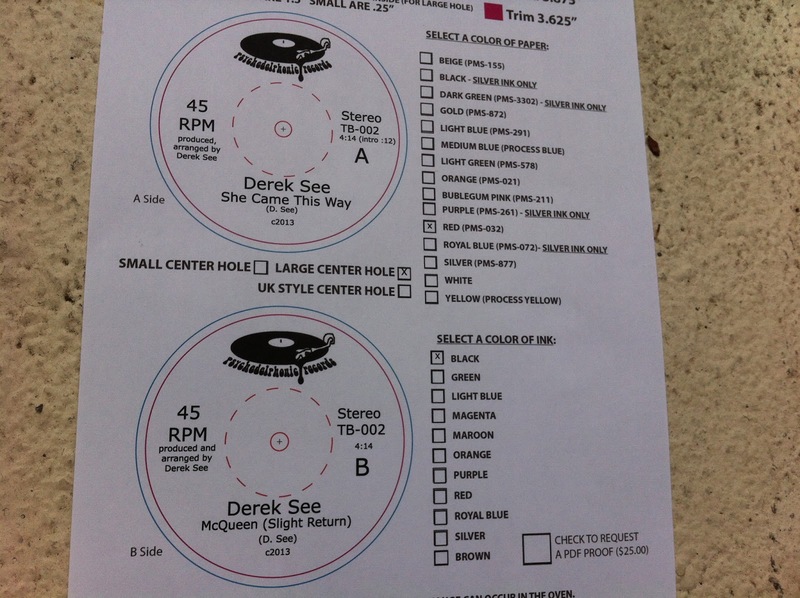 My new 45 is pressed, printed are ready to ship! I'm afraid that I know nothing about Denny Greene, other than that he released an LP in '77 and a 12" single in 1981. The man displays an amazing, Curtis Mayfield-like falsetto on this fantastic cover of a typically great early Bill Withers composition. This moody NOLA record perfectly conveys the mood of the title through saxman James Rivers melody, (mostly) wordless vocals, and some killer piano comping. 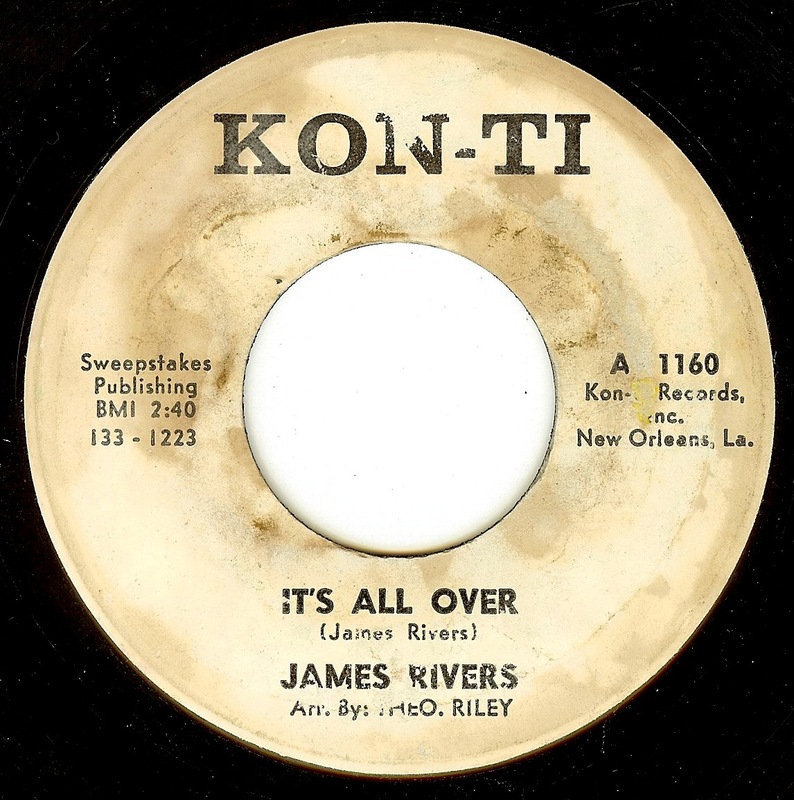 James Rivers' career began in his late 'teens with a stint with Huey 'Piano' Smith and The Clowns in the late '50's, and by the '60's his journeyman talents found him playing on such massive records as Earl King's 'Come On" and Robert Parker's "Barefootin'", in addition to non-stop performance work. I love the ultra mod groove the band cuts here; taking a cue from Brazilian rhythms (filtered through the ubiquitous New Orleans groove), the track is oozing swing and sophistication. My file hosting site seems to be broken, so I'm unable to post anything currently. Hope to return to scheduled programming soon, but in the meantime, check out the "mixtape" I made for Aquarium Drunkard HERE.